Testimonials | Fence Link Inc.
"I want to thank you for the excellent job you did with my fence, your prompt attention, and your courteous helpful manner was greatly appreciated. I will recommend your fence service to anyone. I know who needs fencing done." "Thank you for the excellent work building my new cedar privacy fence. It has been a pleasure dealing with you from the very beginning. After a series of frustrating dealings with other companies I was very impressed with every aspect from estimate to completion. Tim arrived at the appointed time for the estimate and I received the paper work promptly. Throughout the entire job everyone was courteous and efficient. All work was done as scheduled, done well and with a minimum of mess. I will certainly recommend you to others and please feel free to use my name as a reference for potential customers. Thanks again!" "Thank you for the great job you did at our place in Townsend. We are so glad the job is complete! I want to apologize for the grief that Al had to endure. We know exactly what he went through." 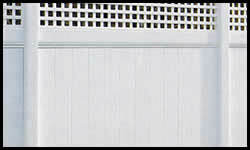 "We love our fence & were very happy with the workmanship and the quickness in getting the fence put in." "Excellent job. Thank you for all the hard work and all the extra work you did by keeping the yard clean and putting the fence back up for the dogs. 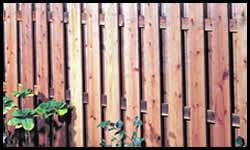 Our friends down the block with the cedar fence say you did twice the job of their installers." 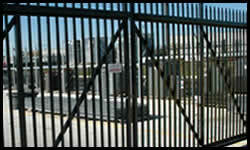 "We received the estimate from Dan on the gate, etc. As of right now, we cannot afford it, but will keep the estimate and hopefully do it at a later date. The fence is great!" "I would like to take this opportunity to thank Fence Link, LLC for your professionalism, quality service, and adherence to the rigid construction schedules at the James Street INN. Your company’s craftsmanship and attention to detail played a tremendous part in the successful construction of this unique structure. Once again thank you, and please extend my appreciation to your dedicated employees for their exemplary efforts. Best wishes on your continued success!"